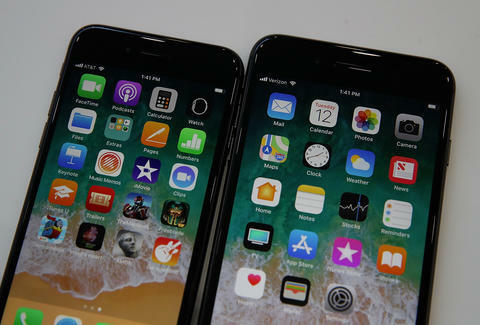 As expected, Apple released its much-anticipated iOS 11, a major software update packed with dozens of changes and new features, including a beefed-up Control Center, a one-handed texting mode, and game-changing augmented reality tech. And while the update will likely breathe some new life into your existing phone despite the arrival of the iPhone 8 and iPhone X, it's missing a big feature Apple showed off when it first announced the software this summer: peer-to-peer payments via Apple Pay. 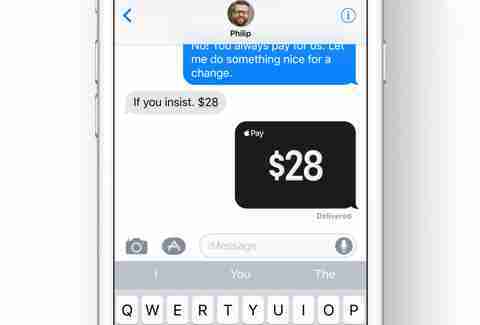 The Venmo-like feature, which enables you to send money to friends, family, and that co-worker you still need to pay back for lunch the other day, will arrive in an update to iOS 11 on your iPhone and Apple Watch sometime this fall, according to Apple. So far, it's unclear why the functionality wasn't ready for the first version of iOS 11, but some observers suspected something was up when the feature didn't appear in developer and public beta versions of the new software over the last few months. As we reported back in June, the feature allows you to send, request, and receive money inside the iMessage app or via Siri with the credit or debit cards you have setup with Apple Pay. All you have to do is authenticate the transaction with your fingerprint (or your face in the case of the iPhone X). The money you receive from the peer-to-peer payments will go to something called an Apple Pay Cash account, and from there, you'll be able to transfer it to your bank account, use it for purchases via Apple Pay in stores and online, or use it to pay someone else. So far, Apple hasn't revealed when the update will arrive, but the additional wait for the new feature could be a relief for major players in the peer-to-peer payments space like Venmo, PayPal, and SquareCash. In the meantime, you'll just have to keep splitting your huge brunch bill with six other people the way you usually do. Tony Merevick is Senior News Editor at Thrillist and was really looking forward to using this. Send news tips to news@thrillist.com and follow him on Twitter @tonymerevick.